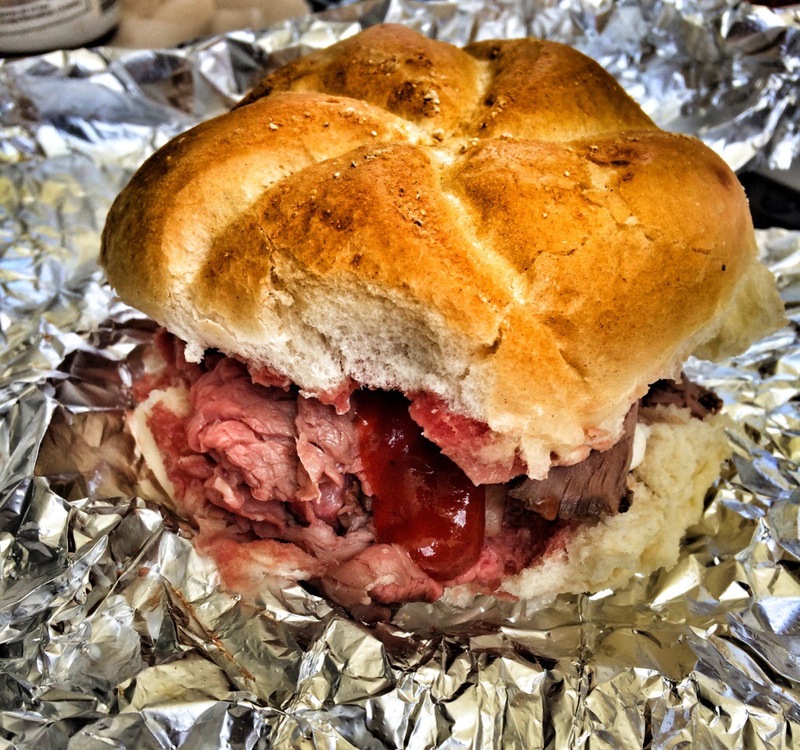 One of my favorite things about the summertime is that Santoni’s in Glyndon (Baltimore County) has Pit Beef (as well as Turkey and Ham) on Saturdays. I’ve been to Chap’s which is well known for its pit beef sandwich and personally, I think Santoni’s is better. And what makes it extra special? The fact that it’s only available for a few hours a week, a few months out of the year. 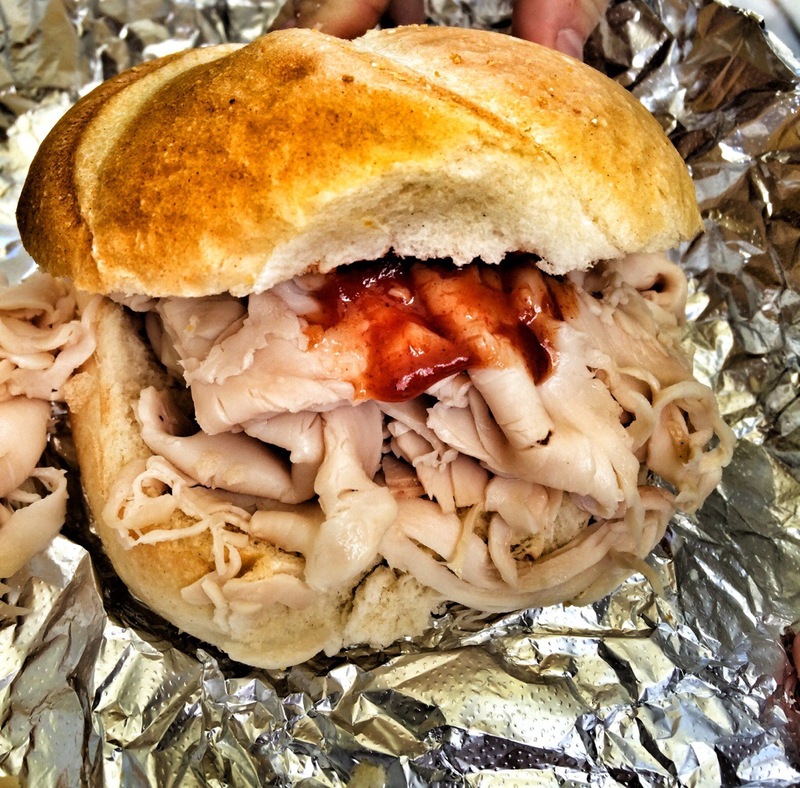 When you get to Santoni’s, it’s not uncommon to see a long line near the Pit Meat stand, but trust me, it’s worth it. In order to get a sandwich, you need to go inside and purchase a ticket. The ticket is $7.50 and it comes with a sandwich, a drink and chips. This meal is a great deal! But when you’re inside purchasing your ticket, you may notice some of the other delicious looking things they offer and decide to purchase something to accompany your meal. My friend and I know how much we love their French Fries so always order a small side of them to go with our sandwiches. After purchasing your ticket you wait in line until it is your turn to order. When you approach the smoked meats, someone will ask you what meat you’d like. I ordered the beef and my dining companion ordered turkey. After the meat is sliced, it will be placed on a roll and wrapped in tinfoil then handed to you. 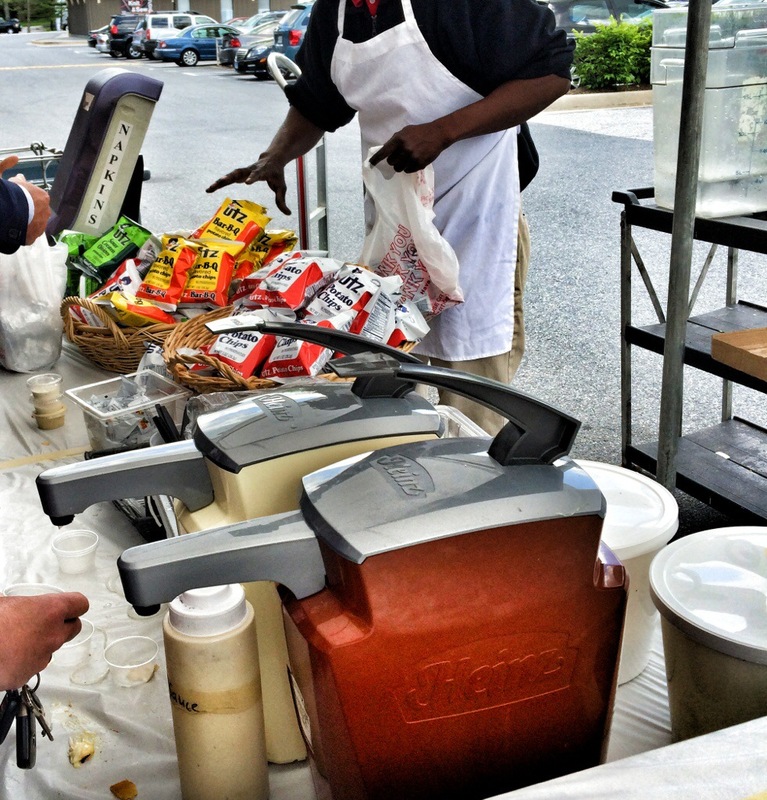 From there, you head to the topping bar to choose your sauces and anything else you would like on your sandwich. My favorite is a mixture of tiger sauce and BBQ sauce. Once you have finished loading up your sandwich with toppings, it’s time to eat. My friend ordered the smoked turkey and put BBQ sauce on it. And my sandwich was rare roast beef with tiger sauce, BBQ sauce and onions. The meat is thinly sliced and full of flavor. 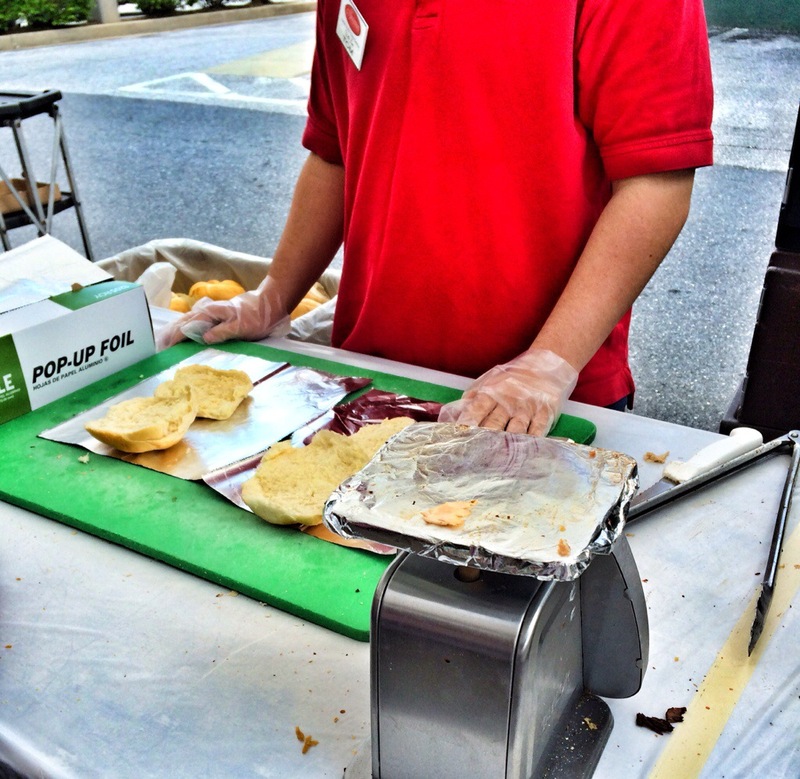 Santoni’s easily has some of the best pit beef in Baltimore County. I regularly make the 45 minute trip there for the Pit Beef. But if you’re in the mood for something else, they have plenty of options inside. 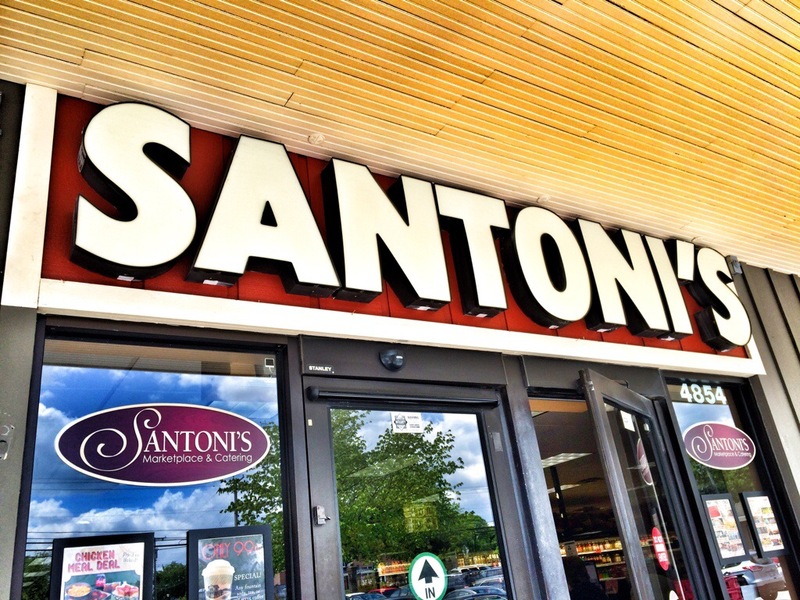 For great Pit Beef in Baltimore County, make sure to visit Santoni’s. Santoni’s is located at 4854 Butler Road in Glyndon. I regularly eat pit beef. It’s honestly the thing I’ve fallen most in love with since I moved to Maryland. My favorite is Smokey’s and Uncle Grube’s in Elkridge. If you’re in Howard County you absolutely must give it a shot. That being said, make sure you try their homemade BBQ sauce and homemade sweet tea. 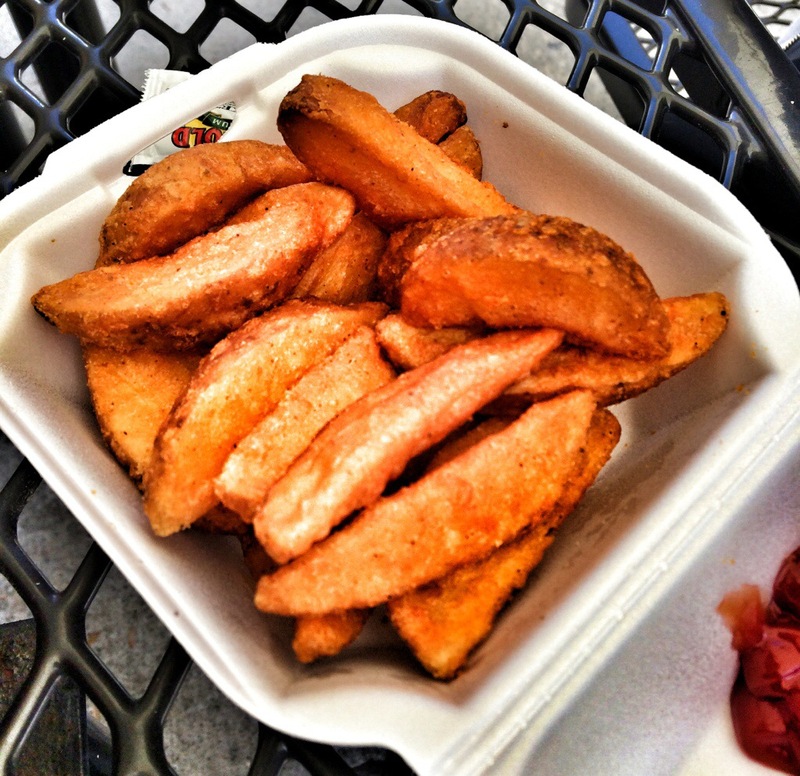 The fries here aren’t the greatest plain, but they’re good with vinegar and some of their homemade BBQ sauce. 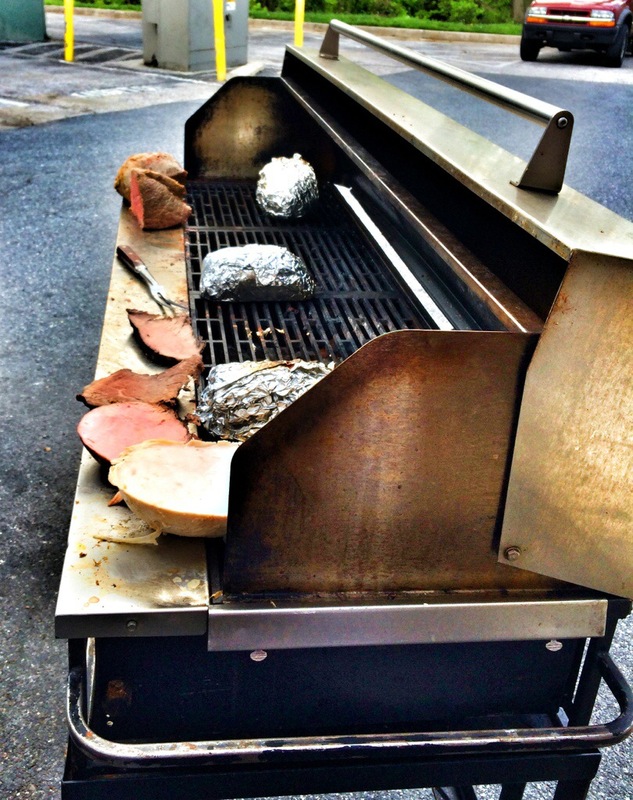 Oh, if you’re ever in Glenwood, try out Smokin Hot Bar and Grille. They have a pit club, which is pit beef, pit ham, pit turkey, and bacon sandwich. I don’t go out of my way for it, but enjoy it if I’m in that area.